Detroit is a city that has been many things over the years. Once, Detroit was one of the largest, most successful and influential cities in the country as the American automotive companies dominated car making around the world. Then, it was a failing city that felt abandoned, with its population shrinking from 1.8 million at its peak to under 714,000. Now, it is a city trying to reinvent itself. Detroit's efforts to turn itself around have hinged largely on the tourism industry, and on creating forms of employment outside of the automotive industry. The efforts to bring back the downtown core of the city have loomed large in the plan for revitalization. While these efforts have started to show results, the city also had to declare bankruptcy, only beginning the process for exiting bankruptcy in late 2014. 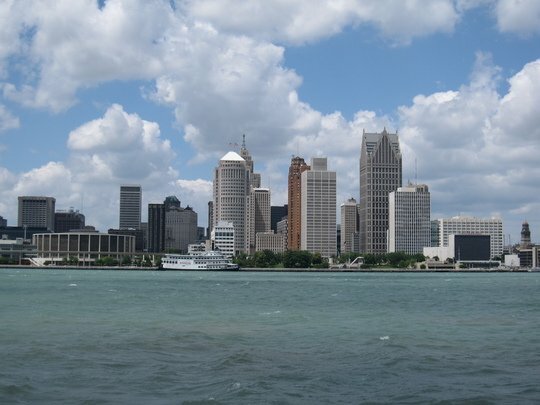 Detroit might be one of the easiest cities in the country to find an apartment in currently. Vacancy is nearly double what it is in most other cities. If you give yourself six weeks to look for an apartment, you shouldn't have any issues unless you only want to rent in a very restricted geographic area. When you're apartment hunting in Detroit, you need to do your research when it comes to the neighborhood you want to live in. Neighborhoods that have been largely abandoned are now falling prey to urban decay and crime problems, yet some unscrupulous landlords may still try to rent suites in these areas, especially to those moving from out of town. Doing your homework in advance is important. When you realize that the automotive industry is what built Detroit, it should come as no surprise that this is still a city best suited to people with cars. One of the main reasons for this is that the city is spread over a very large area that makes public transit inconvenient at times. The Detroit Department of Transportation operates busses in the city, and the Suburban Mobility Authority for Regional Transportation (SMART) operates busses both in the cities and the suburbs. Professional sports are huge in Detroit, and the city is represented in each of the major leagues. A visit to Corktown will introduce you to the oldest neighborhood in the city. Visit Hitsville U.S.A. to see the original Motown building and to see some history of the legendary recording company. Music remains a critical part of Detroit culture, and visiting clubs, bars and other venues for concerts is a regular past time for many Detroit citizens. The Motor City has changed a lot over the years, but despite it's troubles there is still a lot worth seeing in the Detroit area. Even a drive across the Ambassador Bridge between the U.S. and Canada is rather awe-inspiring, as the bridge remains a symbol of engineering and architectural prowess. For a city that sprung up around Henry Ford’s dream, a visit to the Ford Piquette Avenue Plant is a must. Touring the Charles H. Wright Museum of African American History is another must-do in Detroit. This museum is the largest exhibit on African American culture not just in the country, but also in the entire world. If you're hungry, try heading to the Texas de Brazil. This establishment is a traditional Brazilian steakhouse, which means it's all you can eat, and incredibly delicious. For a legendary Detroit meal, you must try the Mac and Cheese from Vinsetta Garage. One of the best new restaurants in town is widely recognized to be Selden Standard. If you're looking for a great place to take a date, try The Lark. The restaurant is Portuguese inspired, and has a large wine list and a very romantic atmosphere that is sure to impress anyone that you treat to a night out. If you enjoy Belgian Beer, then you should pay a visit to the Cadieux Café. This bar specializes in Belgian traditions, including both the food and the beer. If you want to enjoy some Mussels, live music and great beer, it is a great place to go. If you want to enjoy beer made right in Michigan, pay a visit to the Grand Trunk Pub. Almost every beer on tap is made right in Michigan, and the few that aren't are definitely still delicious. don't miss the brunch here either. For a truly unique experience, try the Zenith. This bar has a creepy clown room and a tiki bar, making for what might be the oddest mix of items in a bar ever, yet it works. When it comes to culture in Detroit, you have to immediately think of the city’s legendary music scene. Visiting the Motown Museum is a must if you want to really grasp the vast debt that music history owes to Detroit. The Charles H. Wright is of course one of the most important museums in town. Another very important cultural institution is the Detroit Institute of Arts. With a history that stretches back more than 120 years, the museum has a permanent collection that includes some of the most famous works of art in the world, including Vincent Van Gogh’s self portrait. If all you want is a pleasant place to eat a great meal, then you should try An American Grill. The food is exactly what you'd expect, the staff is friendly, and almost everyone leaves happy. If you're looking for barbecue, the Buckingham Smokehouse BBQ has won accolades and awards throughout its existence. When you're looking for a true treat though, you should head to CC’s City Broiler. This restaurant is all about the complete dining experience. The menu offers unique creations you won't find anywhere else, the staff will offer impeccable service, and the food will look as good as it tastes. If you're looking to shop local, enjoy the day, and see some unique art along the way then you need to pay a visit to Royal Oak. This small village contained on the outskirts of the city is fashionable and cool in a way that many of the more developed neighbourhoods just can't manage. If you like to shop brand names and high-end retailers, then heading to the Twelve Oaks Mall should satisfy your shopping desires. Finally, if you like the enormous luxury department superstores like Saks Fifth Avenue and Neiman Marcus, head to the Somerset Collection. Detroit is an old-fashioned sports city. it's fans support it's teams win or lose, because they've been with them since the very beginning. The Detroit Red Wings were one of the original franchises of the NHL, and their fans are still with them all these years later. The Detroit Lions compete in the NFC North in the NFL. The Tigers have the longest sports history in the city, with the baseball franchise tracing it's roots back to 1894. Finally, rounding out the professional sports presence in the city are the Detroit Pistons of the NBA. Although many wouldn’t associate Detroit with outdoor activities, the truth is that Michigan itself offers a huge variety of ways to get outside for recreation. The fishing just outside the city is home to some of the best trout fishing on the continent. The trout streams throughout the area are excellent, and draw anglers from throughout the State and Canada. There are also many more parks in downtown Detroit than there once were. As the city continues it's revitalization efforts, previously abandoned tracts of land are being reclaimed into green space, helping to make the city more scenic while also providing trails for walkers and cyclists.